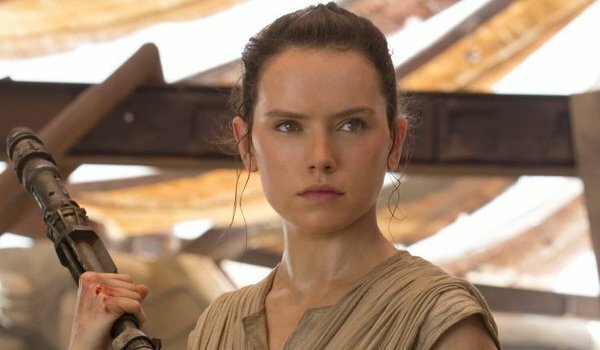 Throughout the entirety of Star Wars: The Force Awakens, one very important question keeps poking the audience in the side: where, and who, did Rey come from? While we're obviously not given that answer just yet, as a mystery such as this is the type of thing you tease out for a full trilogy, we think we have an idea about her origins. 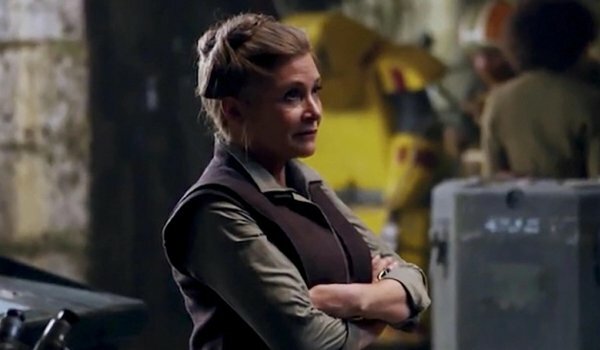 And it all starts with a moment shared between General Leia Organa and our new favorite Jedi-in-training. From there, with a couple of other pieces the film lays down in its jigsaw puzzle of mysterious parentage, we begin to see a picture forming. That picture is that of the Solo family having another child they stowed away for safe keeping, since the other one was a little off. It looks like the movie knows this, and is hinting oh so cleverly towards this fact. For now though, let's take it back to the beginning and look into that first hint we got that Rey was indeed a Solo. So the first clue that really sent us down this rabbit hole was the fact that General Leia bypassed Chewbacca, and hugged Rey after the untimely death of Han Solo. One would think that the first person Leia would have gone to comfort would have been his best friend, Chewbacca, considering how inseparable the two have been since we first met them in the Star Wars universe. But just like the medal ceremony on Yavin-4, Leia passes up Chewie and beelines straight to Rey. Other than being enamored by the legends of Solo's heroics, and knowing as much about ships as the scoundrel himself, you have to wonder what could possibly be more important than friendship? The look Solo gives Rey when he finishes the sentence she's in the middle of speaking lit the fuse, but Leia's hug sealed the deal. What other evidence is there that Rey could possibly be the daughter of Han and Leia? 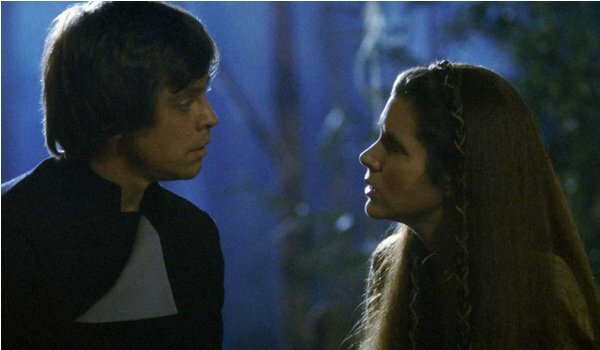 Well, as we've seen in the original trilogy, Luke and Leia were both confirmed to be Force Sensitive, meaning that they would eventually wield that mystical life-force that binds and guides us all. Seeing as all other Jedi, except for Yoda, Obi-Wan, and Anakin was killed off (at least, that we know of) there are a finite number of Force users that still exist. Luke and Leia got their abilities from their father, and Kylo obviously got his from his mother. So knowing the limited pool of Force users, and the fact that Luke and Leia are the only corporeal representations of The Force left, it's a safer bet to assume that Leia was blessed with twins, like her mother before her; simply because Luke's probably been so dedicated to his studies that he hasn't had time to find a companion. At the first mention of a girl being spotted by the Stormtroopers reporting back from Jakku, Kylo Ren was keen to decipher just who this girl was. Seeing as there's enough people on Jakku that interest in one of them would be weird without some sort of prompting, this indicates that Kylo might have sensed that someone from his life as Ben Solo was hiding out there. As a matter of fact, Rey's light-sided abilities may very well be the call to the light that Kylo Ren feels trying to pull him back from the darkness he inhabits. As we've seen throughout the canon of Star Wars, family is one of the most powerful forces in the universe, and it can redeem you if you let it. Or, in his relentless quest to extinguish the Jedi for good, he could sense Rey's connected family history as a possible link to Luke, but either way Kylo senses something about her, and it's going to be interesting to see it play out through the next couple of films. What do you do when you have two kids in the Star Wars universe, and both are sought after by an evil and powerful figurehead? Well, if you're a member of the Skywalker family, you separate those younglings and stash them on worlds as far away as possible! Right from the beginning, Rey tells us that she's waiting for her family, and it's safe to assume that whomever left her behind presumably did so to protect her. Seeing as said agent of abandonment also had a rather nice looking spaceship, it's safe to believe this person was well off, maybe of high ranking nobility. 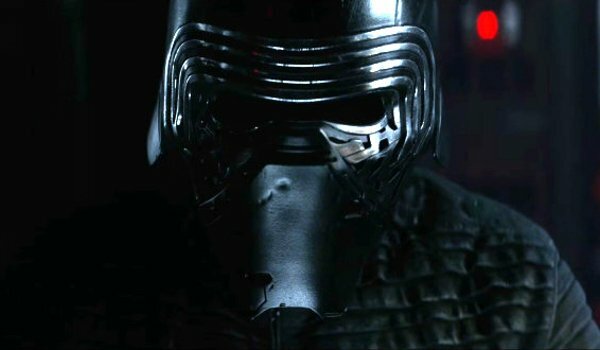 Putting all the other clues together, the big theory that starts to emerge is that much like Luke and Leia, Kylo and Rey had to be split apart once Kylo went crazy and Supreme Leader Snoke seduced him to the Dark Side. Knowing her bloodline was one that almost guaranteed Force sensitivity, Leia used the only tactic she knew, in order to protect her daughter. Do You Think Leia And Rey Are Related? I'm not sure yet. Let see it again & get back to you. No, it's all just a coincidence. Yes, but she could be Luke's kid. Yes, she's clearly her daughter.